Just a short while ago, the 66th annual Cannes Film Festival announced its film list for this year, and unfortunately, as previously feared, Twelve Years a Slave will not be in competition. Without it's participation, it leads us to believe that director Steve McQueen is still editing the film. With a December 27th release date, TYAS is in prime condition to debut at Toronto and New York in September, since those are the last two of the major world stage film festivals. I haven't completely ruled out Venice yet, since it is just a week before TIFF, but we'll see. Lastly, I am freeeeeeeee! My last class was last night and it was a fun one. I am strongly confident that I maintained my perfect 4.0 GPA as I enter into the final home stretch this fall with my graduate project, and my final class of organizational communication. So in honor of this accomplishment, I am posting my favorite 'Professor Fassy' image from the Los Angeles Film Festival 2011. I never really expected '12 Years' to debut at Cannes to be honest. I think it'll go the Venice/TIFF like Shame. 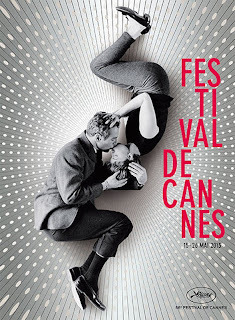 Bummer though as Cannes could have gotten the ball rolling in May, now we wait until late Aug/Sep. Emilie, were you making plans to attend Cannes if TYAS was going to be there? If I recall correctly, I think you said your town was close to Cannes? That would have been a fantastic coup for you. @Dionne, thanks hon, I think I'll have a drink on me too! It's impossible to attend the Cannes festival if you don't belong to the world of cinema or media, but I intended to take my car and spend a whole day in Cannes. Maybe I would have seen him in the street or near the Palais du Festival. I hope Simone you'll be able to meet him at TIFF. Enjoy your FREE time Simone, if someone deserves it it's you! I'm glad TYAS will not have it's premiere @ Cannes. For a a complete selfish reason...the thought of reading about TYAS and knowing I've to wait until end december would make me insane. I've ordered my valium already to survive the 3 months waiting after it's premiere at Venice or Toronto...it will be a complete torture and I hope (no.... I KNOW) it will be the cherry on the cake of a Fabulous Fassy Film year.